Chester E. Hawthorne, 49, of Pensacola, passed away on December 21, 2008.Chester was a native of the Chumuckla Community, a 1978 graduate of Chumuckla High School, and had resided in Pensacola for many years where he was a self-employed computer technician. He is survived by his wife, Shirley Hawthorne; parents, Edward and Ruth Barley Hawthorne; sons, Tony Pierson and Joshua Hawthorne; brother, Jeff Hawthorne; sisters, Diane (John) Marceau and Cynthia Bloyd; 7 nephews; and 5 nieces.Active pallbearers will be Busey Flowers, Glenn Flowers, Byron Thornton, Martin Jaffrey, Bobby Cox, Keith Barley, James Hawthorne, Jr., Steven Sawyer, and Joseph Caron. Honorary pallbearers will be David Boyd, Winston Campbell, Keith Harris, and Kenneth Harris.A service will be held on Sunday, December 28, 2008 at 3:00 p.m. at Elizabeth Chapel United Methodist Church with Rev. Norman Brown and Pablo Falcon officiating. Burial will follow at Elizabeth Chapel Cemetery. Trahan Family Funeral Home is in charge of arrangements.The family will receive friends one hour prior to the service at the church.Flowers are welcome or memorials may be made to the family. Beloved father and grandpaw Roy "Frankie" McCraney departed this life on December 2, 2008. He was preceded in death by his father Henry J. McCraney Sr. and wife Glenda Pittman McCraney. Survivors include his mother Vernell McCraney of Rock Creek AL and 2 brothers, James McCraney of Rock Creek AL. and Jack (Norma) McCraney of Milton, FL. 3 daughters Melanie (Dean) Brown of Holt, FL. Amanda (Metch) Bushey of Jay FL. and Shelley (Wayne) Phillips of Brewton, AL. Also 2 sons P.J. (Wanda) Waldrop of Brewton AL. and Joseph Freeman of Pennsylvania. He leaves behind 10 granchildren Carlos Waldrop, Chris Phillips, Chad Phillips, Cameron Phillips, Collin Phillips, Autumn Bushey, Hope Waldrop, Cassie Brown, Shara Brown, and Cody Brown. He also leaves behind a special friend Glendia Powell. Our Dad and Paw-Paw will be greatly missed. Funeral services will be conducted Saturday, December 6, 2008 at 2:30 PM at the Chapel of National Cremation & Burial Society with Rev. Manuel Bennett and Mr. Tony Tompsen officiating. Interment will follow in Spring Hill Cemetery. The pallbearers will be Lloyd Saben, Allen Waldrop, Joseph Androw, Buddy Jordon Jr., Rodney Crawford, and Tony Tompsen. Honorary pallbearers will be Bill Patterson, Buddy Morrell, and Jamie Whitehead. The family will receive friends at the funeral home Friday, December 5, from 5 until 7 PM. Loye Faye (Enfinger) Weeks age 71 of Milton, passed away suddenly on Thursday, November 27, 2008, after a brief illness. Faye was born March 30th, 1937 in Chumuckla, Fl. and was the daughter of the late Ethel May Brewer and Richard Harvell Enfinger. She retired after 24 years of service with the Santa Rosa County Food Service Association. She was a devout Christian as well as a wonderful and loving wife, mother, grandmother and great grandmother. She is survived by her husband of 55 years, Thomas C. Weeks of Milton; a brother, Wayne (Joyce) Enfinger of Perdido; a sister, Angela (Pete) Melton of Milton; a sister-in-law, Bobbie Enfinger, of Munson; a son, Rocky (Betty) Weeks of Cabot, Ark. ; and two daughters, Ramona (David) Hart and Sonia (Rodney) James, both of Milton; six grandchildren, Clayton, Jeremy, Jessica, Holly, Haley and Dakotah; one great grandchild, James; as well as many other extended family members. Funeral services will be at 11:00 AM Tuesday, December 2, 2008 in the Lewis Funeral Home, Milton Chapel with Rev. Adrian Wingate officiating. Interment will follow in Elizabeth Chapel Cemetery in Chumuckla, FL. The family will receive friends from 6:00-8:00 PM Monday, December 1, 2008 at Lewis Funeral Home. In lieu of flowers, a memorial donation can be made to your local American Diabetes Association in her honor. Mary Elizabeth Jernigan Tidwell, 81, a lifelong resident of Chumuckla, FL, went home to be with her Lord Thursday, December 19, 2008 after a lengthy battle with Alzheimer's Disease. Mary was born June 15, 1927 to J.W. 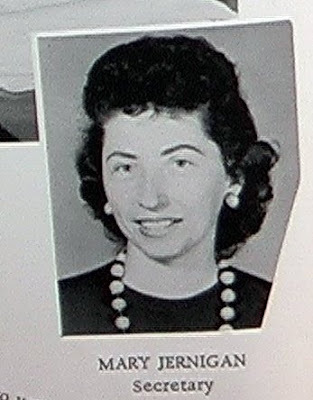 and Mary McCaskill Jernigan. She had one sister, Josephine Kimbrough who preceded her in death. Mary grew up working in her father's commissary. She taught school at Chumuckla Elementary and was secretary for the Milton Fire Department. She received a Bachelor's Degree in Legal Administration from the University of West Florida. She loved her church and served as church pianist, organist, and treasurer, for many years. She also was a great lover of animals, flowers and traveling. She is survived by her husband of 46 years, Marion O. Tidwell; one daughter and son-in-law, D. Anthony (Tony) and Mary Beth Washnock; one grandson, J.W. LaCoste; and one niece, Mary Jo Trenkler. The funeral service will be held at 3:00 p.m., Monday, December 22, 2008 at Elizabeth Chapel United Methodist Church. Visitation will also be at the church from 1:00 p.m. to 3:00 p.m. In lieu of flowers, memorial contributions may be made to Elizabeth Chapel United Methodist Church, 8000 Chumuckla Hwy., Pace, FL 32571. LEWIS FUNERAL HOME, 4777 W. Spencer Road, Pace, Florida 32571 is in charge of the arrangements. DC Allen, 89 of Jay, FL, died December 18, 2008 in Jay. He was a longtime resident of Santa Rosa County, FL and a loving husband, father, grandfather and great-grandfather. He was preceded in death by two grandsons, Timmy and Brad Harris. He is survived by wife, Alma Allen, daughters, Lois (John) Parrish, Mae (Pete) Rowell, Louise (Jerry) Burgess, Fay Harris, Vickie Allen, Joan (Raybon) Key and Clara Mildred (Gerald) Garrett, and 18 grandchildren and 35 great grandchildren. Funeral services will be held at 2:30 p.m. Sunday at Jay Funeral Home, with Rev. Ladon Hall Officiating. Burial will follow at Cora Baptist Church Cemetery. Visitation will be held from 6-8 p.m Saturday at Jay Funeral Home. The family will like to thank the staff of Jay Hospital and Dr. C. David Smith for the care they provided Mr. Allen. Jay Funeral is in charge of the arrangement's. Back in the day, J. Lee Campbell could offer you some advice on current affairs. When all was said and done, there was still hot coffee to enjoy. "Beats all I've ever seen". Have a great day !! On November 19, 2008, Jason Grant Kirkland, 24 years old, departed this life to go play his guitar for the herald of angels. Everyone who knew Jason knew he had a heart of gold. He loved everyone!!!! He was the Best Son, Brother, Grandson and friend that anyone could ever ask for. And more than anything the best Uncle in the Whole World to Peyton and Mason Cody. We love you Jase and you will truly be missed!!!!! He was preceded in death by his grandfathers, Edgar Paul and Evert Smith, Uncle Mike and cousin Mark Edwards. He is survived by his mother, Renee Etters; stepfather, Ray Etters; his father, Teddy Kirkland (Rebecca Meador); his brother, Matthew Kirkland and sister, Kelley Kirkland (Cody); two nephews, Peyton Cody and Mason Cody; his grandmothers, Helen Paul and JoAnn Smith; many aunts, uncles cousins and friends. Pallbearers are Josh Davies, Brandon Allday, Barry Bailey, Josh Kirkland, Brandon Morris, and Larry Meador. Honorary Pallbearers are Jeremy Etters, Shane Cody and Travis Meador. Funeral services will be held 2PM Saturday, November 22, 2008 at Jay Funeral Home with Rev. Digmon officiating. Burial will follow at Pine Level Cemetery. A visitation will be held from 12 noon -2PM. Lamar and Dottie Ward just off Penton Road, lost their lives to fire on Nov. 23. This is a sad event. Fires have been very destructive in our community the last year. The Wards are wonderful people. Lamar used to help Mr. Walther out at the nursery in Chumuckla. Our thoughts and prayers go out to the Ward family on their loss. Brandon Jay Howell, Capt,US Air Force, Deployed to Falujia, Iraq, on 11/08/08. BJ is the youngest son of Uncle Sammy and Carol Howell. Brother of Stacey Brown of Chumuckla and Tsgt Samuel J. Howell, currently stationed in Guam. 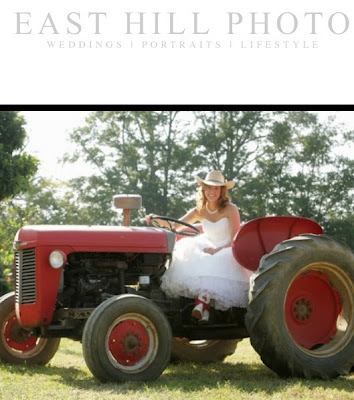 MUST SEE WEDDING PHOTOS .. Enjoy! A great idea for a fund raiser, but it does take a little nerve to do it. Nice to see our wonderful teacher from 1967 - was up to the task. Louise Whitfield (Parks) Driggers is AMAZing-ing -ing. CALENDAR LINK. Mollie Jane, daughter of Gasque and Virginia, went Home Sunday, September 28, 2008. Mollie Jane was a proud Santa Rosa County resident and a member of one of the pioneer families of North West Florida. She was a member of the Daughters of the American Revolution as well as the Daughters of the Confederacy. She was also a member of the Floridatown Historical Society. Except for the past few years, she was involved in many civic activities, a lot of them being the restoration and preservation of many of the old Santa Rosa Cemeteries. Mollie Jane was a member of Elizabeth Chapel United Methodist Church, of which was named for her great-grandmother. Mollie Jane was preceded in death by her husband and soul mate, Jim Ward, in 1983; and her sister, Julie Booher, who went Home in January 2004. She leaves behind three sisters, Pat Price, of DeFuniak Springs, Hester (Wilbert) Courtney, of Milton, and Myra Hughes, of Pace; sister-in-law, Pat (Leon) Livingston; much loved nieces and nephews, cousins, and dear friends; four adoring children, who will miss her most of all, David (Joyce) Mitchell, of Pace, Ginny (Richard) Garrett, of Pace, Crystal Ward (Jim Lane), of Pace, Jayme (Robin) Ward, of Milton; also, ten grandchildren, Jesse Mitchell, Heather Baesman, Bonnie and Hollie Livingston, Laura and Matt Melton, Tiffany, Charlsey and Cody Martin, and James Ward. "We love you, Grandmother. We won't forget the things you taught us." Funeral services for Mrs. Ward will be 11:00 AM, Thursday, October 2, 2008 at Elizabeth Chapel with Rev. Byrd Mapoles officiating. Burial will follow in Elizabeth Chapel Cemetery with Lewis Funeral Home directing. Visitation will be from 5:00-7:00 PM, Wednesday, October 1, 2008 at Lewis Funeral Home, Pace Chapel, 4777 W. Spencerfield Road in Pace. Active pallbearers will be Gary Price, Danny Hughes, Leon Livingston, Jeff Melton, Calvin Robinson and Johnny Rollo. Honorary pallbearers will be Edward Collinsworth, Alvin Enfinger, Harold Dannelley, Wilbert Courtney, Dave Rankin and Mike Riley. Brandon Griffin, age 28 of Chumuckla, Florida, left this life for his Home in Heaven on Monday, September 29, 2008. Brandon was born in Pensacola, Florida, on June 24, 1980. He lived in Chumuckla most of his life and was employed as an Apprentice at Southeast Building System, Inc.
Brandon was a special young man and loved spending time with his children and family. He loved the outdoors, bow hunting and fishing. He loved the Lord in a very special way. Brandon was loved dearly by all who knew him and will be forever missed and will always have a place in our hearts and lives. Funeral services will be at 9:00 AM Friday, October 3, 2008 at the Chumuckla United Methodist Church with Rev. Clive Knights officiating at the memorial service. Burial will follow in Elizabeth Chapel Cemetery with Lewis Funeral Home directing. 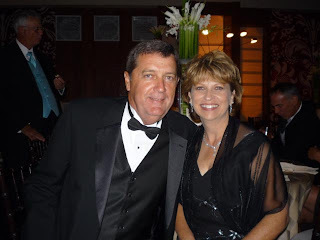 The family will receive friends from 6:00-8:00 PM Thursday, October 2, 2008 at the Chumuckla United Methodist Church. Pallbearers will be John Orishvich, Joey Barnes, Benjamin Kent, Mitch Smith, JoeJoe Keoler, Daniel Harris, Larry Faulk and James Bell. Navy Retirement Ceremony honoring Jim Campbell for 40 years of Naval Service. Chumuckla Elementary School's support of positive behavior among its nearly 275 students will become a model for schools across the country. The University of South Florida had a film crew at the school recently to highlight its use of Florida's Positive Behavior Support project, which is used as an alternative to traditional discipline methods, to increase academic performance and safety, and establish positive school cultures. Of the more than 300 Florida schools using the program, Chumuckla Elementary is the only one chosen for the instructional video, which should be completed by fall. "Chumuckla Elementary has one of the most comprehensive support systems in place for students we have seen," said Therese Sandomierski, technical assistance provider for the project. The school uses activities like the Movin' On Up Club and Great Gains to help its kindergarten through sixth-grade students who may be struggling academically. Disciplinary referrals have dropped nearly 50 percent at the school, which consistently has earned an A based on scores from the Florida Comprehensive Assessment Test. "It is an example of what other schools can do, and that will be shared with the rest of the state and the country through the video," Sandomierski said. The school's TRIBE expectations — Trustworthy, Respectful, Responsible Indians Believe in Excellence — fully support positive behavior, said Karen Barber, principal. "We know student achievement goes up with increased appropriate behavior," she said. "The program helps with the TRIBE expectations for ourselves and the students, and recognize when students are making positive choices for behavior or academics." Fourth-grader Erica Waters has noticed a difference in classmates' behavior. "It's very good we have such a good opportunity to get people to have good conduct," she said. "People really try to earn the respect of their teachers." Last year, Chumuckla Elementary and Woodlawn Beach Middle School were among the 25 percent of Positive Behavior Support schools to achieve Model School status for demonstrating innovative, creative and functional ways of supporting the program. John (J.T.) 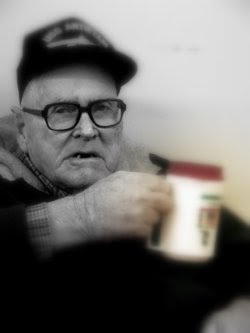 Barnes, age 86, of Pace, passed away Tuesday, April 15, 2008. He was born February 22, 1922 in Cora, FL and lived there until his family moved to Chumuckla when John was 6 years old. John started the first and graduated from the 12th grade at Chumuckla High School being in the first class to graduate. John entered the U.S. Army shortly after completing high school. He was in the U.S. Army Calvary serving in WWII in the European Theatre where he was injured and received the Purple Heart along with other combat medals. After being discharged, he entered the University of Florida where he received his BA and MA degrees. After graduation he taught at Escambia Farms High School until he was employed by the U.S. Department of Agriculture as a soil conservationist until his retirement. He later worked as a Veterans Services Officer for Santa Rosa County and retired a second time after several years of service. John belonged to many organizations including the Kawanis, American Legion, V.F.W, and the Navy League. He was preceded in death by his parents, Ben & Mattie Barnes; sisters, Clara Lloyd (Roma), Onie Wall (Ervin), and Eva Harter (Joe); brothers, Vernie (Son) Barnes (Evelyn), Watson Barnes and Billy Barnes. Survivors include his sister, Wara Voss (Bill); sisters-in-law, Lessie Barnes and Barbara Barnes; many nieces, nephews and a very special friend Al Dofita and family. Memorial services will be conducted Friday, April 18, 2008 at 6 PM from the Chapel of National Cremation and Burial Society in Milton with Rev. John F. Webb officiating. The family will receive friends at the funeral home Friday, April 18 from 5 until 6 PM. In accordance with John's wishes his body will be cremated. In lieu of flowers, memorial contributions may be made to a charity of your choice.National Cremation and Burial Society of Milton has charge of the arrangements. Published in the Pensacola News Journal on 4/18/2008. 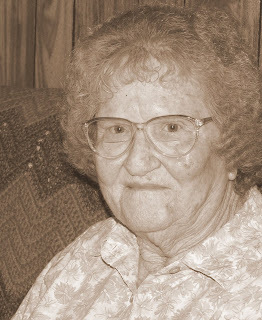 Mrs. Norean Simmons, 90, of Chumuckla, passed away Sunday April 13, 2008. Mrs. Simmons was born in Dale County, Alabama and had resided in Chumuckla for the past 68 years.Mrs. Simmons was a member of the Chumuckla United Methodist Church. Mrs. Simmons is preceded in death by her parents Martin and Bessie Jones; her husband of 55 years M.A. Simmons; a daughter and son in law, Ruthie and Gerald Bostwick, and a son Charles Simmons.Mrs. Simmons is survived by a son, Ray (Jane) Simmons of Chumuckla; three daughters, Shirley (Billy) Hopkins of Chumuckla, Betty (Doug) Horton of Wallace, and Eddnie (Jack) Walther of Coldwater; eleven grandchildren, twenty great grandchildren, and three great great grandchildren.Funeral Services will be at 11:00 am on Wednesday, April 16, 2008, at the Chumuckla United Methodist Church with Rev. Clive Knight officiating. Burial will follow in the Elizabeth Chapel Methodist Church Cemetery with Lewis Funeral Home directing. The family will receive friends from 5 pm until 7 pm on Tuesday, April 15, 2008, at the Lewis Funeral Home, Pace Chapel, on West Spencerfield Road. Published in the Pensacola News Journal on 4/15/2008. Velvie Hatfield 85 was cooking in her kitchen when some grease exploded and caught her clothing on fire.... the home she's lived in for over 40 years also quickly caught fire. She tried to put the fire out and fell out the back door and could not get up. Frank Moore, passing by, saw the fire and called 911 and he saw Mrs. Hatfield was on fire and ran over and pulled her from the fire and put out the fire on her. She was life flighted to Baptist Hospital in Pensacola with 2nd degree burns on 50 percent of her body. Thats all I know right now. Doug. MORE HERE. Please feel free to add comments below. 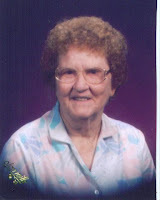 Ethel "Miss Woodie" Jeanette Tribble, age 86, passed away Wednesday, February 27, 2008. Mrs. Tribble was a resident of Santa Rosa County for the past 60 years. She was a member of the Elizabeth Chapel United Methodist Church. Mrs. Tribble was a co-founder, along with her late husband, G.W. "Woodie" Tribble, of Woodie's Florist, which they founded in 1966. Mrs. Tribble is survived by her son, Edward (Renee) Tribble; daughter, Gena (Brian) Sweeney; three grandchildren, Emily, Chase and Austin; and one great-grandchild, Michael; and many friends. Funeral service for Mrs. Tribble will be 11:00AM, Saturday, March 1, 2008 at Elizabeth Chapel United Methodist Church with the Reverends John and Ginger Richardson officiating. Burial will follow in Elizabeth Chapel United Methodist Church Cemetery with Lewis Funeral Home directing. Visitation will be from 6:00-8:00, Friday, February 29, 2008 at Lewis Funeral Home, Milton Chapel. Pallbearers will be Ryan Kilpatrick, Ricky O'Kelley, Howard Rogers, Chuck Conden, Tony Washnock, and Joe Shofner. Honorary pallbearers will be George Henry Bray, Roy O'Dell, Marilyn Hammell, Leo Nichols, Mavis Nichols, Ruth Kilpatrick, Charles Van Landingham, Colbert Cambell, Ozzie Williams and Sylvia Elliott. Special thank you to Cindy, Rachel, Claudia, and Dr. Jim Smith, of Covenant Hospice for all their help. LEWIS FUNERAL HOME will be in charge of arrangements. Published in the Pensacola News Journal on 2/29/2008. Jannie T. Pond, age 52 of Chumuckla, FL passed away at home Tuesday, March 11, 2008. Jannie was a native of Bell, CA and had resided here since 1977. She was a member of the Chumuckla United Methodist Church where she was on the staff of the child care department. Jannie was preceded in death by her father, James Toney Pond Sr.; and brother, James Toney Pond Jr.
She is survived by two sons, James Toney Pond-Easley and Terry Jerome Capers Jr.; and her mother, Daisy (Kelley) Ponds. Services will be 2:00 p.m. Friday, March 14, 2008 at Chumuckla United Methodist Church with Pastor, the Reverend Clive Knights officiating. Visitation will be one hour prior to services. Burial will be in Ardfield Cemetery. Active pallbearers will be Robert Germann, Steve Hunter, Richie Foster, Gerald Kelley, Denny Segrist, and Chris Roper. Honorary pallbearers will be P. Joe Kelley, Larry Kelley, T. J. O'Kelley, Kenny Kelley, Roger Kelley, Doug Kelley and the ladies of the Chumuckla United Methodist Church. In lieu of flowers memorials may be made to the Chumuckla United Methodist Church Building Fund. The family offers their sincere thanks and appreciation to Dr. Christopher Neumann and Dr. Kental and staff of Hope Medical Group Staff of Sacred Heart Hospital.